Has Greg Lugach confirmed this event? No, I am hopeful based off of Sod farm appearance. Greg doesn't share with the officers much - maybe Steve but Steve is out of town. 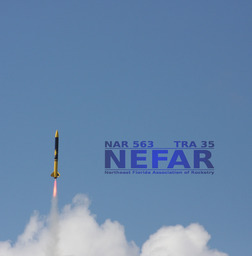 I hope there is a NEFAR launch in July... It's very frustrating waiting every month for a Launch confirmation, it gets me a bit off-rockets mode... Have to grab my checklist "how to prep my rocket for complete dummies"... Anyway have a rocket lined up for July 7... I also hope that Jimmy posts more video's before the 'next' launch, But he is a real busy guy..
Is the NEFAR launch on the 7th or 14th? The 7th is the first Sat of the month.